Friends in new places: The Lagerphones are (from left) Nick Martyn on drums, Ben Harrison on trumpet and vocals, Marty Holoubek on bass, James Macaulay on trombone, Louis King on banjo and Jon Hunt on clarinet. If you’re in a foreign band trying to plan a tour in Japan, you sometimes need to improvise when it comes to booking venues. 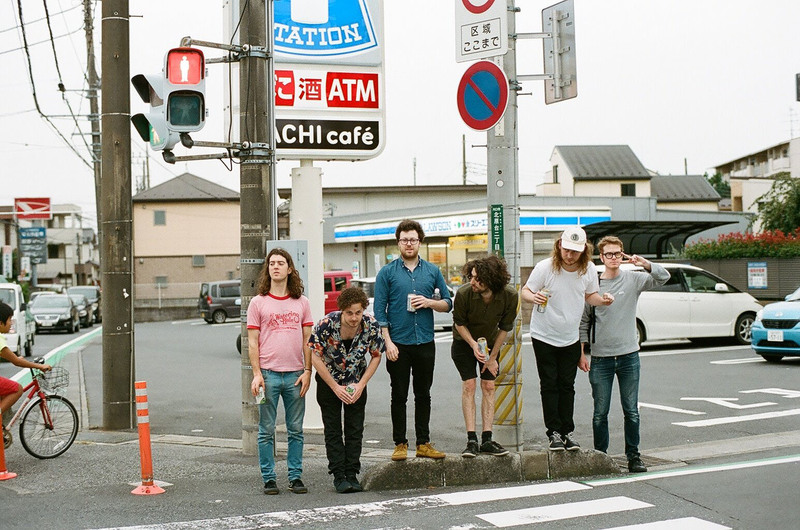 That may be why you’re more likely to find Australian six-piece The Lagerphones at a cozy cafe than a grimy Shibuya live house. This New Orleans-style jazz act from Melbourne once played an impromptu performance inside a train car, but their go-to stop in Tokyo is a kissaten (traditional coffee shop) called Lawn in Yotsuya. Vaughan Allison, who has lived in Japan for around 10 years and is the band’s manager, says he’d been asking Lawn’s owner about hosting a music night there for a while. Over the past four years the band has come to Japan every September to tour, adding more dates and playing more venues. Occasionally they’ll hit up a traditional live house, but they’ve largely stuck to their formula of coffee houses and a few bars and restaurants. That has helped them develop a small but reliable fan base that has spread the word about the band’s rambunctious shows. What people may want to know, however, is how an Australian jazz band was able to jam their way into the second-largest music market in the world. Bass player Marty Holoubek says the first step is to woo your Japanese fans. 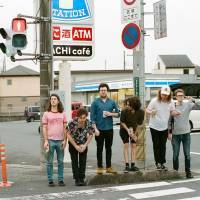 This month’s Yo Ji Kai Tour will be The Lagerphones’ fourth in this country, its name a play on the Japanese word “nijikai,” which means “after-party.” The band’s albums sport titles such as “Kanpai Mina-san” and “Atarashidi,” and vocalist Ben Harrison has gone as far as learning how to sing in Japanese. Allison takes part in the interview more than a manager usually does, which points to another way bands can break into Japan: Have someone who’s already on the ground when you arrive. The Lagerphones had a loyal fan base back home when they decided to come to Japan “as a kind of holiday” and to “see if we could get a gig,” according to Holoubek. They weren’t expecting their trip to turn into a full-blown tour. Trombone player James Macaulay got in touch with Allison, a friend from before, about setting up some shows and Allison quickly wrote back to say he’d lined up 12 gigs in 10 days, as well as a few photo shoots and interviews. What’s next for a band that has mastered (and created) the kissaten circuit? The Lagerphones have aspirations to make it onto the stages of some of Japan’s biggest music festivals, and this month their tour stretches outside of Tokyo for the first time to Osaka and Kyoto. The Lagerphones play Citan hostel in Chuo Ward on Sept. 14. The Yo Ji Kai Tour will then continue till Sept. 30 with performances in the Kansai region taking place from Sept. 21 to 25. For more information, visit www.thelagerphones.com.